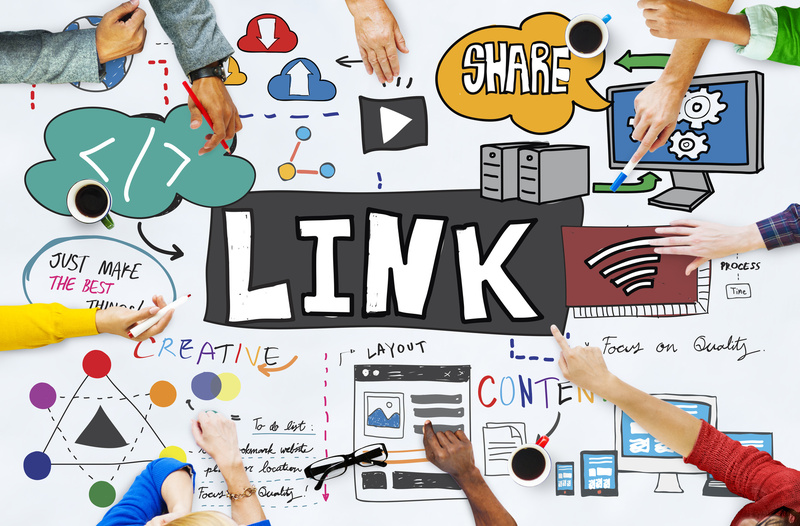 Since Google’s creation, link building tools have consistently remained one of the best strategies for increasing your website’s SEO potential. The early days of Google marked link spamming and other techniques focused on buying backlinks from low-quality link providers. This eventually evolved into what we know today as “Blackhat SEO,” and subsequently, earned us SEO’ers a firm slap on the wrist from Google. Who knew that Google wanted readable content for their users? Since then, Google has waged war against SEO’ers using low-quality links to increase their search ranking. In September of this year, Google won that war. Google’s latest Penguin update, Penguin 4.0, monitors linking in real-time, ensuring that any and all low-quality links no longer increase SEO. SEOs in 2017 must move forward and stick with linking practices that cater to Google’s new algorithm. Luckily, plenty of linking practices exist that Google won’t penalize, and some they even encourage. We’re looking at the best linking practices for 2017 and how to capitalize on them. It is probably beaten into your brain that content is king, and it’s true. Google values content that informs readers and focuses on more than just SEO potential. In a survey of SEO leaders, Omar Kattan mused that the future of SEO lies not in technical signals, but in social signals that require brands to produce relevant, entertaining, useful, inspiring content. However, have you stopped to ask yourself what kind of content is actually worth creating? Blog posts are essential to SEO, but it’s infographics that stand out. Start by identifying a niche where your potential infographic is relevant. Next, identify the information your niche is looking for. This is easily accomplished by studying keyword trends. Build your infographic and promote it heavily on social media websites. You can also send out “feelers” to other blogs within your niche who may trade a backlink for infographic use rights. Though social media links aren’t authoritative, they signal popularity to authoritative websites who might link to your infographic. The chances of creating a viral infographic are slim, but the rewards are tremendous. Guest posts emerged long ago as a great set of link building tools to generate high-quality backlinks, and it remains so in 2017. The reasons guest posting is so effective is simple. You’re creating an article for another website tailored to increase your own SEO link juice. Handcrafted backlinks will always fare better than those from outside your organization. But, in 2017, we’re taking guest posting to the next level. Focus on pitching your guest posts to what we call “content syndicators.” These are websites that work with networks of other blogs to post their content across multiple pages. For example, The Huffington Post is part of a syndication network. They repost content from other blogs on their website. If website ABC is trending within their niche, Huff Post will republish their content. Your goal is to guest post on member blogs of these syndication networks. Not only do you gain a backlink from your guest post, but also the opportunity for exposure to a mass market audience. This is harder than it sounds. Search Huff Post, Mashable, and other similar blogs for posts related to your niche. Then, look for a “this post originally appeared on” credit. Your goal is to guest post on the credited websites. Once you’ve identified your targets, pitch ideas that are niche-specific. Your target is mass appeal, but the authoritative websites want niche articles. Don’t stop guest posting, but also keep an eye out for syndication opportunities. Part of building backlinks is convincing other blog owners that your content is quality. Some people may organically find your content, but it’s likely many of your backlinks will come from building a repertoire with other content creators. Sounds easy, right? Not quite, because you’re not the only one trying to win over editors and snag a backlink. Standing out in an inbox full of emails is no easy feat. The best way to differentiate yourself is through personalized emails. Nothing says “delete this” like a template email. After you’ve managed to convince a few people to work with your linking practices, you’ll need to build a relationship with them. The nature of the relationship will depend on your linking strategies. Trading guest content is a great way to build backlinks in a friendly way. Ditto for giving away free backlinks planted within each other’s work. If your strategy involves buying backlinks, things get somewhat more complicated. The thing is, Google isn’t too keen on buying and selling links. But, that doesn’t mean there aren’t ways to trick the search giant. Business relationships with link buying or selling clients involve staying within your niche and agreeing on the specifics of anchor text and link volume. Less friendship, and more caution, tends to stem from these relationships. There’s no doubt in our mind that link building tools will remain an important part of SEO strategy in 2017. The SEO potential of building a quality network of backlinks is far too great to ignore. Keep Penguin in mind, churn out those infographics, become friendly with other bloggers, and start searching for quality syndicated content networks. Stick to these trends and your SEO in 2017 should be off to a fantastic start. We hope that with our guide, you’ll move into 2017 with all the tools you need to take your SEO to the next level. If you’re interested in learning more about building a high-quality link profile, get in contact with us. We offer opportunities for both buying and selling high-quality backlinks to boost your website’s SEO potential. Now that Penguin 4 has rolled out, are you struggling to understand where to focus your efforts to keep your website high on the Google rankings? Link building is still extremely important to your website’s SEO rankings. Inbound links act as indicators to Google as to whether to consider your website an authority in your niche. Links make your website visible in search results, but you’ll have to put in some effort to be high in the rankings. Blogging consistently helps in getting quality links. In fact, businesses with a consistent blogging habit get up to 97 percent more inbound links. But to avoid being penalized by Google, it’s important to understand how to build quality links. With Google’s extra emphasis on link building, this SEO technique may require more time, effort and money on your end. In this post, we’ll show you a few link building tools that will keep you penalty-free in Google. Read on to learn how to build links in a post-Penguin world. It has always been that Google saw sites as more authoritative when they had more links pointing back to their site. Google would place those sites with more links higher up in the rankings. It used to be that it didn’t matter the quality of where the link came from. More links meant better search rankings. Since the first Penguin update in 2012, Google has been penalizing websites for containing suspicious links. When a website is hit by Penguin, it can be difficult to recover. You may lose your high ranking and your traffic. In Google’s most recent Penguin update, released this fall, it was announced that the spam-detecting tool now runs in real time. While this makes it easier to get hit, it also makes the recovery process easier. Good links are still considered one of the best ways to build authority for your site. The link building tools you use depend on the type of business you have. B2C businesses can build links by getting product reviews. To do this, send influencers in your niche a free sample and ask them to give you a product review. Ask them if they’d like to help promote your product and offer a commission of the sales they get you. Another way to do this is to write heavily visual blog posts and post the images to social media sites like Pinterest or Instagram. Pinterest users pin 3,472 images per minute. Posting to these sites is a sure way to get your content shared and gain plenty of links back to your site. Posting to these sites is a sure way to get your content shared and gain plenty of links back to your site. Another great practice is to reach out to local directories or associations. Partner with organizations that will provide links back to your website. Alumni directories can be seen as highly authoritative with relevant links to websites. If your business has recently made a big accomplishment, achieved a milestone or held a charity fundraiser, this is a good time to reach out to alumni associations because they often promote success stories. When industry specific directories link back to you, this indicates to Google that you are seen as a relevant source to local searchers. When reaching out to associations or influencers, remember to create lasting relationships and understand that it is a two-way street. You have to provide value back to those who are helping you out. Be genuine in your approach and demonstrate that you’re bringing unique value to who you’re reaching out to. Personalizing your approach goes a long way. Show that you can be trusted and that you are not a spammer. 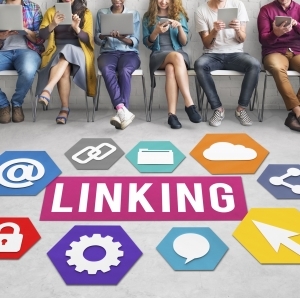 B2B customers have plenty of options for building authoritative links. One great way to get quality links back to your site is to write testimonials for the people you network with. For those who helped you with your business cards or website design, write them a testimonial of how pleased you are with their services. Many times, they will post your testimonial on their own website and link back to you. Another option is to write a guest blog post for another website in your niche. Writing an information-packed article for other sites is a great way to gain authority in your niche and get links back to your site. Several sites will accept guest blog posts from experts in their niche. A natural way to build quality links is to provide quality content. Always aim to relate to your target audience. Tug at their emotions or education them with an informational post. Share useful tools and infographics. Post video demonstrations of how to perform a task. Write engaging editorials. Of course, you still have to get out there and ask for the links to your site. But the more quality content you have, the more likely people will want to link to your site. If you’ve done all of the above and your rankings still haven’t recovered in Google, it’s time to locate the website links to your site that are broken. Inform the owners of those sites that they have a broken link, which is also bad for their own SEO. Provide a new URL for them to replace the broken link with. Again, it is important to be genuine in your approach and provide value for the site owner. Recovering from a Penguin hit can be difficult for busy business owners. 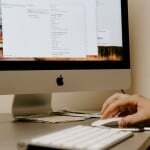 The techniques mentioned here are simple ways to build quality links, but you still may struggle to focus on this when you know you should be focusing on your clients and your services. If that’s the case, let us help you. Having been in this business for a long time, we have watched link strategies change with every algorithm update. We are skilled at adapting quickly to these changes. We know the best ways to get your website back to the top. Contact us today with your questions about link building tools! So what do you need and don’t need to build top notch backlinks? Let’s explore the latest and greatest from Google and learn what you need to prioritize in 2017! To understand where backlinks are headed in 2017, it’s important to understand the ranking factors Google uses to evaluate your website. As you can see, quality backlinks are the second most important ranking factor. Furthermore, important ranking factors such as trust level, anchor texts, and social media play a significant role in link building as well. In order to maintain the integrity of their search results, Google periodically updates their algorithms to catch and weed out the bad apples. In doing so, it’s now a lot easier to get penalized if you’re not careful. Google’s most recent algorithm update, Penguin 4.0, is particularly relevant to this conversation because it deals specifically with links. No doubt, Google Penguin will have significant influence over backlink strategies come 2017. This particular update specifically targets low-quality backlinks. If you haven’t already, make sure to perform an SEO audit to remove or “no-follow” any questionable backlinks. Building low-quality backlinks from websites irrelevant to your niche. Building a low-quality backlink profile too fast may be seen as manipulating search results. Like Google’s Panda update, Penguin will also penalize you for keyword stuffing your content. Optimizing your content with too much anchor text. Anchor text is a major ranking factor, but you want to include them in the most relevant way possible. Using too many exact match anchor texts. Exact match anchor text used to be standard SEO practice. Not anymore! This now raises major flags. So what backlink trends will you expect to see in 2017? Backlink diversity will be key in 2017. With the Penguin 4.0 release, link practices are under more scrutiny. If the majority of your backlinks are coming from the same source, Penguin may flag and ultimately penalize you. Penguin may also penalize you if the majority of your backlinks come from the same “c-class” ISP address. Having too many may be viewed as spam. Knowing where your backlinks are coming from is crucial for staying penguin-friendly. That’s why when building your profile, you need to extensively research the backlinks you want to pursue. In the old SEO days, Google’s PageRank was used to measure the authority of websites. However, since Google retired PageRank, other tools have risen to take its place. One of the most popular methods for assessing websites is domain authority and page authority, otherwise known as your PA and DA scores. PA and DA scores use a 0-100 ranking system. Therefore, the better the score, the more authority that site has with google. For example, Facebook has a score of 100 because it’s such a mega-popular network. When building your backlinks, try to aim for websites with reasonable scores of 30 and above. Forget the old ways of SEO. It’s no longer cool to target keywords and backlinks that have nothing to do with your niche. Remember, links and anchor text are supposed to help visitors engage more with the topic, not detour them completely. For example, suppose you run a pet niche website. You find that a tire review website is linking to your article, “Top 7 Tips For Making Your Own Dog Food”, in their blog post on Luxury Car Rims. That backlink has nothing to do with the intent of the blog post, and in turn, that backlink could get flagged. So what do you do in situations like this? If the tire review website didn’t add a “no-follow” tag to your backlink, reach out directly to the website to remove it. You should also run a detailed SEO audit to identify troubling backlinks that need to be removed and work with your SEO consultant to purchase only relevant quality backlinks. You’ve probably heard the phrase, “content is king”, but this philosophy also extends right into your link building methods. Moving forward into 2017, backlinks within content will have more value than stand-alone links and those listed on sidebars. These are called contextual backlinks. Remember, it’s all about intent! When building your backlinks, make sure to focus on websites that produce substantial, well-formatted articles and blog posts. You also need to analyze how backlinks are used. Do their backlinks match the intent of the content? Do they direct visitors to relevant, useful web pages? One way to find quality backlinks is to perform backlink research on your competitors and the backlink websites you’re considering. You can’t take any chances with Google in 2017, and the last thing you want is to waste time getting rid of bad backlinks. To start the year off strong, receive an SEO audit to see where your backlinks stand, do away with outdated SEO practices, and speak with an SEO consultant to make sure you’re building quality backlinks the right way. 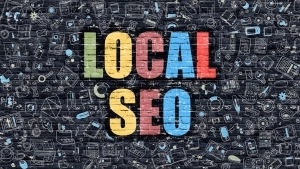 Need some backlink builder tips for local SEO? We got you. Here’s what you need to build links that will help nearby customers find you when they need you. 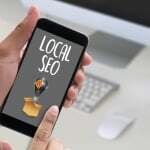 These tips are tailored specifically for local businesses who are navigating their SEO strategy in a “post-Possum” Google age. In case you missed the news, Google has changed their algorithm (again, yes) to better serve the “near me” search. Not to worry–we’ve got all the backlink builder tips you need to get ranked in “near me” searches. As the old saying goes, any press is good press when it comes to local link building. You can easily reach out to local reporters and editors to offer expert perspective on current news items or to inform them of newsworthy developments at your company. Most articles posted online are linked to the author’s contact information, or you can just call up the local newsroom. Pitching yourself as a local expert can develop into an ongoing relationship with the local news teams! Most cities nowadays have some version of an annual “Best of” contest. Be sure you’re throwing your name in the hat for any categories your business is a fit for. Not only does this build awareness among your local customers, you can turn a contest nomination into social media or blog content for the entire voting period. Bonus points if you’re able to snag a trophy! No category for your business? Contact the contest organizers and pitch them on why your niche deserves recognition. Thanks to social media and email lists, it’s easier than ever to organize regular meetups and get-togethers with like-minded locals. This can be based on your business’s services or just a “pro-bono” hosting of a social group. Local governments, schools, and civic groups hold events throughout the year. Contact your local institutions and learn how you can get involved with the next festival, fair or summit. Be sure to ask about website listings and confirm your business’s links are listed on the event page. Sponsor local groups or events. Many local events or groups are in need of additional funding through sponsorships. While this requires some of your marketing dollars, sponsoring a local kids’ sports team or a beloved community event is not only great for your reputation among your community, it’s also a great way to get more links on local sites. When negotiating your sponsorship package, make sure your request your links to be included in as much online collateral as possible. Depending on your target demographics, can you offer a discount? Student, teacher, first responders, military and senior discounts are not only very appreciated by those who can take advantage of the deals, but also give you the chance to be listed on local sites and deal round-ups. This tip is especially effective if you have a college or university nearby. Does your business have coveted tips and advice that your community needs? Why not condense it into a one-page resource or guide? You’ll be positioning your business as the local expert on all things local and have the chance to pitch the resource to local sites and influencers as a valuable asset. Get links from manufacturers or wholesalers. If you sell any type of product that comes from a manufacturer or wholesale, check out your supplier’s website to see if you can be listed as a distributor. Build relationships with local influencers. This is going beyond your daily newspaper. Again, depending on your target demographic, an influencer for your ideal customer might vary. Local influencers tend to be bloggers or even local social media stars. There might even be some hybrid blog/news/event sites that are frequented by your ideal customer. Establish relationships with these key players to ensure you’re included in roundups or that your news/events are listed on their sites. Make sure you’re listed in local directories. This one tends to be so easy it’s overlooked. Do you have a local business directory, online “phone book” or Yelp/TripAdvisor page that you should be included on? Make sure all of your information is up to date on these sites, as well as including up to date and working links. Post open positions on job boards. When you have a position open, be sure to include your relevant contact info and your website in your postings on job boards. This can include places like Monster, Indeed, Craigslist, etc. If you don’t want your main contact info flooded with applicants, set up a specific email address and phone number for hiring purposes only. Not ready to take on another paid employee? Internships are a great way to serve your community and get additional local links. The same tips apply as the previous tip for job boards, feel free to set up separate email and phone accounts for internship applicants. With both of these tips, it’s important to remember that you can leave your openings up until you find the perfect person! Exchange testimonials with other local businesses. Do you regularly do business with another local business? We’re almost positive you do! Reach out to your best local partners with a testimonial and see if they don’t mind linking your website along with your blurb. You can easily add a “local favorites” tab to your own website to repay the favor and build community among other local business owners. Testimonials are a great and FREE backlink builder for local businesses. Offer free wifi and get listed. You’re already paying the internet bill, why not get a return on your monthly investment? Offer free wifi to customers and get listed on free wifi directory sites. Pitch guest posts to local blogs and publications. Brainstorm some relevant topics for your local audience and pitch your ideas to local blogs or newspapers. These publications are often looking for fresh perspectives from local leaders, so why should you get your thoughts (and links!) out there? Purchase affiliate link building packages to truly buff up your backlink builder strategy. If you’re a small team strapped for time, one of the best and easiest ways to get your links topped up and rock the local SEO game is to invest in a link building package. 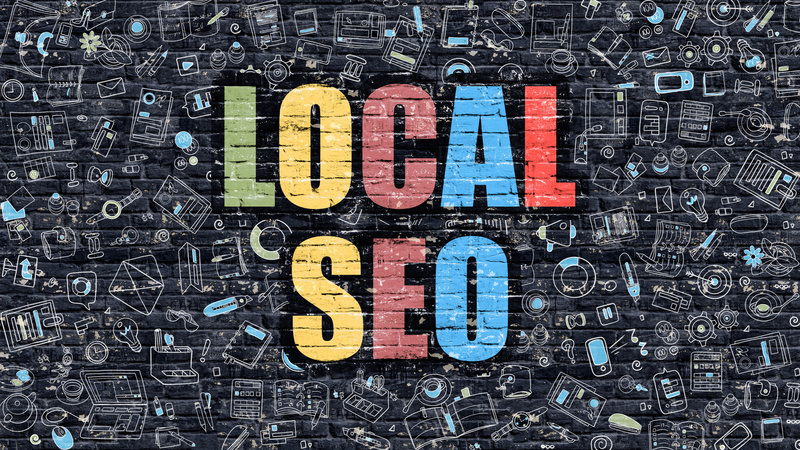 With high-quality links and tens of thousands of websites to choose from, our services will help propel your local SEO strategy to the next level, without a single headache or worry for you. 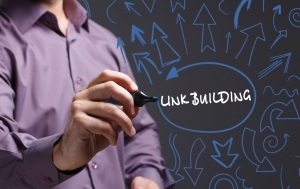 Have questions about these backlink builder tips? Contact us today–we’re happy to answer any questions you might have. If you think that social media is replacing search engines as the primary way that visitors are being referred to sites, think again. In fact, a study by Forrester found that 93 percent of all online experiences start with a visit to a search engine. Another study found that when shopping online, 61 percent of consumers will use a search engine to research the product that they are looking for and make their decision. If your site doesn’t rank well on Google, you’re missing out on the patronage of a large portion of these viewers. While SEO practices are important for boosting your rankings, high-quality backlinks are the best way to help your site climb the Google rankings, and boost traffic to your website. But if you don’t understand Google’s complicated screening process for backlinks, you likely aren’t creating high-quality ones, which may lead to your site getting flagged for spam. To understand how to create high-quality backlinks, you first need to understand what backlinks are and how they work. Anytime a website contains a link to another site, this is considered a backlink. Backlinks, in the simplest terms, create links between sites. But these backlinks do a number of other things as well. First, they create referral traffic. This traffic often isn’t large, but it is targeted. For instance, if a backlink is included on a niche blog, and links to another blog in the same niche, anyone who is already interested in that topic will find the link useful and may visit continue on to that other site. But if someone is reading that blog and isn’t interested in the niche, they aren’t likely to click on that backlink. Backlinks boost the rate at which your site is indexed by search engines. This is important for all websites, but especially for new ones, as it will make it easier for your website to be found on search engines. Finally, backlinks also increase your organic ranking. As with improving the speed at which your site is indexed, this helps to boost where your site falls during a search through an engine like Google. High-quality backlinks are links posted on relevant, high-quality sites. They link similar material in a natural way. 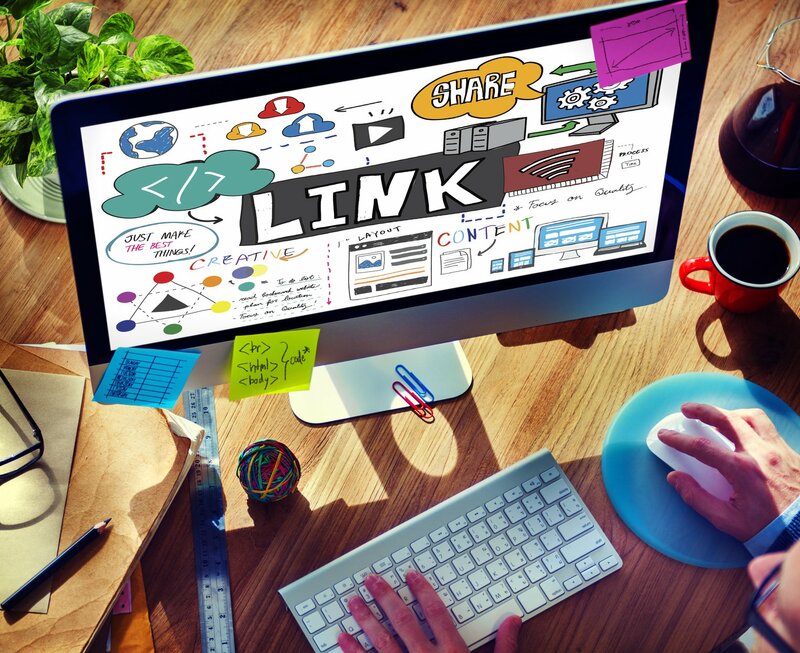 High-quality links have the ability to dramatically boost your site’s ranking on Google. Poor quality links do the opposite. Links are considered low quality for a number of reasons. They may be posted on poor quality websites. Or they may be posted on sites that have nothing in common with the website that’s being linked to. Think of spam comments on blogs and websites, ones that try to capture viewers attention with irrelevant posts or promises of services that have nothing to do with the topic of the article or blog that you were originally reading. Google will flag these links, which will, in turn, hurt your site’s organic ranking. Even if you aren’t posting spam message-backlinks in comment sections of websites and blogs, your links could still get flagged. Why? Google has a screening process that seeks to identify any links that could be unnatural. They define unnatural links as any that are created with the sole intent of boosting a website’s search ranking. Google’s goal is to prevent poor quality websites from gaining a high search ranking by spreading poor quality backlinks all over the web. Even having too many links obtained through an exchange, as in one blogger promising to link to another blog if that blog will also link to them, can get your site flagged by Google for having unnatural links. There are a number of ways to go about creating high-quality backlinks. One way is by creating infographics. Infographics are one of the most popular visual tools on the internet. Websites love to include them and are constantly on the lookout for relevant ones. If you create these infographics, then other websites and blogs will use them and will include a link leading back to your site. In the same way that infographics will get shared often, creating high quality, interesting content will also help ensure that backlinks are being created to your site on other websites and blogs. You should also be creating internal links on your websites. These redirect your readers to other pages on your site that contain useful information. These links also count towards boosting your SEO. You can also invite guest bloggers and writers to submit articles or posts to your site. While this may seem counterintuitive (because those writers are going to create links to their own site in their posts) they are also likely to post links to the article that they write on your site on their own website, thus creating a high-quality link for you. They also may provide an interesting new take on the subject that you specialize in, which can result in interesting content that will drive even more viewers to your site. Interview-style articles with experts in the field are a great way to achieve this. 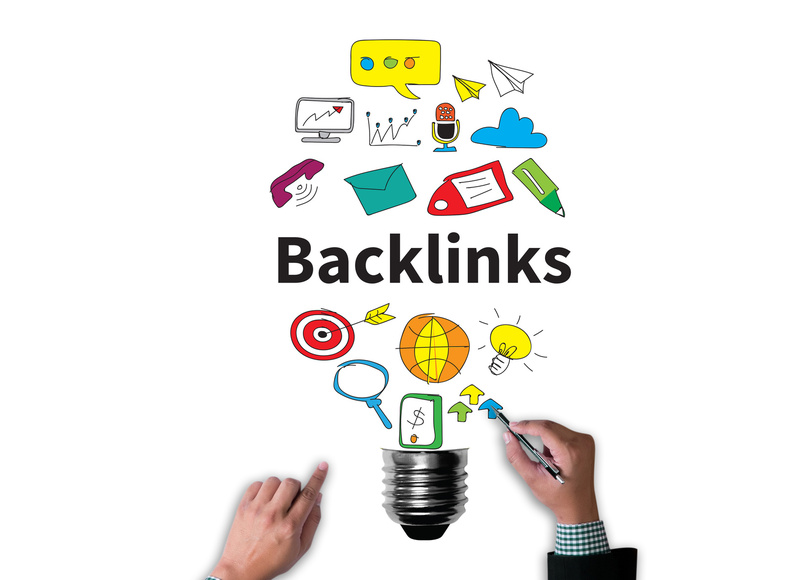 While these methods are all effective, getting a large number of high-quality backlinks entirely on your own will take a very long time and a whole lot of hard work. To shorten the process, you might consider purchasing affiliate links with link building packages. Choosing a reliable company to produce these links is important. The last thing that you want to do is pay for poor quality links. An experienced, professional company will allow you to browse the pages that you’d like your links to appear on, which will help ensure that your links are natural and relevant. With Google constantly changing and adjusting their algorithms, it’s also important that you hire a company that stays up to date on what Google is doing, and adapts quickly to these changes. Get in touch with us. We can help. If there's a single question that most commonly keeps SEOs up at night, it's probably: "how do I get backlinks?" Most other activities in SEO are pretty straightforward. You perform keyword research. You include your keywords in your post content and in all the relevant meta tags. But to get backlinks, more brain-wracking is involved. Link-building can seem to depend on factors outside of your control. What if you spend hours upon hours doing email outreach only to come up empty-handed? Trying to get backlinks to no avail is stressful enough when you're working on your own money sites. It's not even an option when you're working on others' sites. If you're doing SEO for clients, you need ways to get backlinks that are scalable. Fortunately, there are plenty of creative ways to grow your backlink profile that go beyond simple email outreach. By using these off the beaten path strategies, you will get more backlinks and move your sites up the rankings. You'll also have more fun. Reaching out to reviewers is a simple way to get backlinks for your website. Remember, there are bloggers out there who make a living reviewing products and services. All you have to do is search online for the ones who cover your industry. Once you've found them, create a list of emails of those you will contact. To save time, create a template to which you can adjust the name upon sending each email. When someone says he's interested in reviewing what you have to offer, send your product over! In order for product reviews to be worth your while, you need to make sure the reviewer does one important thing: add a link to your website in his post! Placing a backlink to your site should be a given. It's how readers will learn more about the reviewed product. But if you don't see one, don't be afraid to gently remind them. Review outreach is a fantastic strategy to get backlinks because it also gets readers pumped about your product (assuming the review is favorable) and gives you good traffic. Want to experience being a hard-hitting journalist? Or do you dream of being the star subject of 60 Minutes? You can get backlinks through interviewing and being interviewed by others. To get backlinks by interviewing interesting people in your industry, ask your interview subjects to provide a link back to your post on their website. For extra SEO kick, set up interviews with university professors. The link juice from .edu sites is powerful. You can also get backlinks by being interviewed. When the interviewer posts the write-up or recording on his blog, he'll naturally include a link back to your website, scoring you some more SEO points. As you know, part of good on-page SEO including outbound leaks to authority sites within your content. With every blogger on the internet freely handing out links in this way, wouldn't it be awesome to get a slice of the pie? You can--and it isn't as complicated as you might think! All it takes to get backlinks from bloggers is to write statistics posts. Think about it: the content most writers link out to is statistics backing up the points they make. So if you want them to give you a backlink, all you have to do is provide them with the stats they can use as a source. Research the industry-relevant stats that bloggers in your niche often rely on. Write a post that incorporates all these juicy numbers. Optimize your post for SEO. When you're done, share your work! Send a link t bloggers already using stats and ask them to consider using yours instead. And reach out to bloggers who may find your statistics useful in the future. Not only will this method get you backlinks; it will also establish you as a credible authority in your field! When you write testimonials, you probably feel like you're doing the person you review a favor. You are, but you can also turn it into a huge opportunity for your own business. By simply ask the company you review to include a link to your website along with your testimonial. Because they're happy you took the time to write kind words (and they want to keep customers happy), they will almost always oblige. It's a super clever way to get backlinks! Journalists are always looking for news to report. If you can catch the attention of someone who writes for a news organization, that can be an effective way to get backlinks. It's best to start on a smaller scale and work your way up. Build relationships with the journalists who work for the local papers. Come up with something interesting and out of the ordinary, you can do to for publicity. Hold a charity event. Or an outrageous prank. When you're written up, the backlinks from news publications are some of the best you can get. Most people know about Help a Reporter Out, or HARO. Sometimes you reply to query after query to no avail. But there's a much better way to get backlinks from HARO than by sending out individual emails. If your site has an Alexa Rating of more than 1 million, you can submit a query as a reporter. Use this to gather responses for roundup posts. Bloggers will respond happily in the hopes of getting backlinks. Once you have your roundup post ready, publish it and promote. The collective sharing from all the people included in your article will bring massive traffic and backlinks. Participating in events is a great way to build your reputation as an authority. It's also a great way to get backlinks. When you are scheduled to appear somewhere, make sure you are listed on the event's website and that there is a link to your site. This will give you some extra link mojo. There are lots of creative ways to get backlinks. Using a variety helps you diversify your link profile for long-lasting SERP results. If you’ve done any research on Search Engine Optimization (SEO) for your website, you already know how important it is to build backlinks. You’ve even likely seen tips online warning you to steer clear of linking to broken pages. But did you know that there’s a widely untapped strategy you can use to build quality backlinks that will help your SEO ranking using broken 404 pages? It sounds crazy, right? Once your customer clicks the link and comes across a 404 page, isn’t it bound to make the customer turn away from your website or business? Not if you use the broken pages as an opportunity to build value for your own business by pointing it out to your competitors and get them to link to your website instead. That’s right. By using your competitors’ 404 pages, you can speed up the process of link building, generate more traffic for your website, and provide value to your customers. If you’re interested in making your link building more efficient and more powerful, then keep reading to find out how! 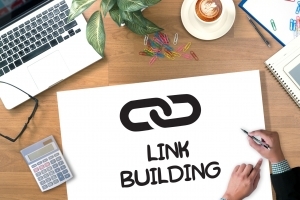 There are many SEO agencies and experts that use the broken link building strategy to create quality one-way backlinks. 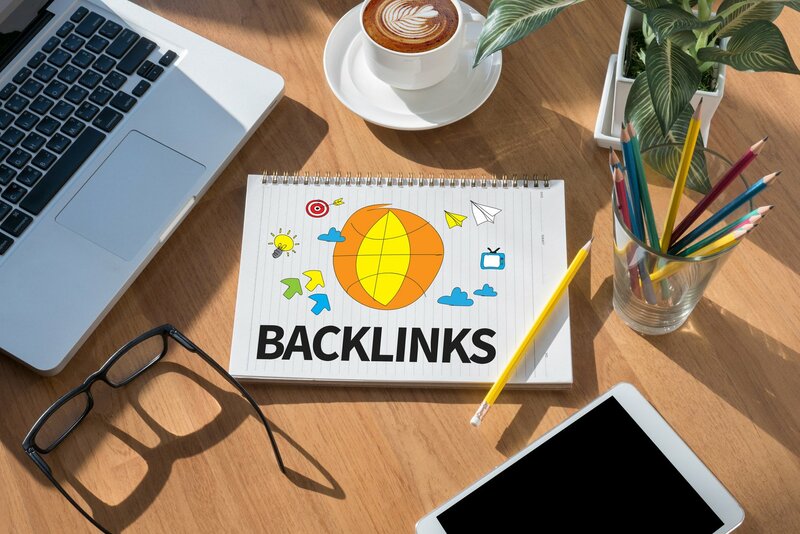 It comes down to an unconventional strategy to get competitor website to link back to you that could pay off even more than traditional backlinks. First, make a short list of competitors in your industry niche. This involves searching Google for other businesses in your industry or searching the keywords you’re targeting and finding websites that are above you in the Search Engine Results Page (SERP). List your competitors in a spreadsheet with their SERP position and the date you found their site. Next, you could check all the links manually, but this is extremely time-consuming, and one of the main goals of this strategy is to save you time. Instead, you can use one of the many free tools online to automatically search for broken links on sites you visit. Google Chrome has an extension called “Check My Links” that will run all the links on a website and show you all the broken links highlighted in red. If you’re looking for more advanced options, you can try the free Screaming Frog SEO Spider Tool. But if you really want to speed up and automate the process, there are lots of services willing to build quality backlinks for your website for a small fee. They’ll also take care of researching your competitors and contacting them if need be. If you just want to do a quick search for yourself, try checking your competitors’ “links” or “resources” pages, as these are the most common places for broken links to pop up. This is the main linchpin of the Broken Backlink strategy. 404 pages on someone’s website are bad for SEO page rankings. Webmasters hate finding 404 pages on their sites because it could mean that their SERP position may have been leeched by dead links for weeks or months. So they appreciate when outside website visitors inform them of undetected broken backlinks. Your goal here is to convince the webmaster to replace their broken links with your website URL. Draft an email to the webmaster informing them of the broken link or links you’ve found on their website and suggest your site as an alternative resource. Make sure to explain the benefits of your website and why you’re an authoritative source. Inform them of your position at your website or business, but be sure to frame your request on the benefits provided to them rather than on your own business’s SEO goals. If you worry that they may not want to help a rival business, you can also just present yourself as a fan of their site and neglect to mention your connection with your own site. Write a personalized email to each of the webmasters, rather than using a template form letter and risk looking like spam. Try to find the name of the webmaster and understand the goals of their business. Understand that a lot of webmasters will elect to not use your site as a replacement backlink because you’re an industry competitor. Don’t pester them if they refuse or if they neglect to reply back to you at all. Use your competitor list to cast a wide net with this strategy. You should only expect a reply from around 30% of competitors, and only around 10% will add your backlink. If the webmaster isn’t doing frequent checks for broken backlinks, then it’s likely they won’t fully consider the downsides to linking to a competitor. They also may not want to take the time to hunt down alternative quality links and accept the links you provide them to save time. When you do receive replies, make sure to take everything they say into consideration, even if they ultimately refuse to link to your site. This will help you to figure out what didn’t work in your proposal email and what you can change or adjust to best convince your next prospect that your backlink is valuable to them. This is an unconventional strategy to build backlinks, so it requires some finesse and creativity on your part. Your focus in your proposal email should be on explaining how replacing their dead backlink with your website as a resource is beneficial to them. Nobody is going to be incentivized to help out a competitor unless it looks like it’s going to be equally or more beneficial to themselves. Make sure to explain why dead backlinks negatively affect the user experience. If you want to seem less pushy, provide a few alternatives rather than just your own site, but be sure to paint your site as the most authoritative and effective. Of course, your first priority should be to create a quality authoritative website in the first place, so if you’ve done that then you should have far less trouble convincing your competitor that you’re an authority in the industry. What “magic” SEO hacks have you picked up over the years? Your SEO strategy is almost there, but you’re missing a crucial piece of the puzzle. You need link building tools to help you find websites that will direct back to your site. Websites that link back to your site are called backlinks, and search engines have strict requirements for them. If your backlinks are low quality, then your website will be penalized. This means plummeting in SERPS or even having your entire website deindexed altogether. And if you think you can bypass backlinking, think again. According to industry experts, backlink-generated web traffic comes second to the power of search. In fact, backlinks may even hold 80% of the ranking weight as organic search engine traffic. Yes, backlinks are a big deal. But not any backlink will do. It’s crucial that your backlinks are high-quality. Otherwise, search engines will penalize you for quality problems. But don’t worry, it’s not going to come to that. Because today, you’re going to learn how to spot those quality backlinks! So let’s breakdown what you need to know to start building a high-quality backlink profile. Imagine this all too common scenario: You start reading an article on content marketing, but want to check out a few more sources. Great! Your article is peppered with anchor text backlinking to more information. Except, when you click, you’re directed to spammy web pages that are totally irrelevant to content marketing. Not only are you annoyed as a reader, but ultimately, that website will be dinged for bad backlinking practices. Years ago, webmasters got away with this when SEO was still fresh, but search engines have definitely caught on. With every Google update, comes an even greater pressure for backlink relevancy. That’s why it’s crucial to analyze and research every backlink you seek. Scour the web for websites in your niche. Measure MOZ domain authority (DA) to gauge the overall authority level of that site. Find expired domains similar to yours. Crawl backlinks of similar sites, competitors, and similar expired domains to reveal more relevant backlink opportunities. Check the quality of your own backlinks. Check how many backlinks you currently have, have lost, or recently gained. Remember, it’s all about the quality, so don’t rush it. If you want to save time, an experienced SEO team can build your backlink portfolio for you. This way, you never have to worry about low-quality backlinks slipping in. Maybe teachers, leaders, scholars, or corporate bosses come to mind? In SEO, “authority” is a big deal, but it’s websites, not people, who have authority. And the more authoritative the website, the better the backlink. Official websites for universities and research institutions. Always look out for websites with .gov and .edu extensions. They make fantastic backlinks! Relevancy: Authority websites never contain content that’s irrelevant to their topic or niche. Updates: These websites frequently update with fresh, original content, increasing their ranking power in search engines. Remember: Google now uses “content freshness” as a ranking signal. High level of user engagement: Authority websites typically have engaged readers who frequently comment and share content, creating even more ranking signals for search algorithms. Quality over quantity: An authority website will typically have just a few quality backlinks on a page. A high number of low-quality backlinks only waters down website quality. Ranking in Google is all about creating signals for those picky algorithms. Every time your content is shared, that sends a positive signal. The more positive signals you collect, the higher you rank. That’s why it’s important for your backlinks to have an active presence on social media. In fact, according to a study by Shareaholic.com, social media is responsible for over 30% of referral website traffic! You learned earlier that heavy user engagement is a hallmark of an authority website, and that engagement is only multiplied with social media. Every Facebook like, tweet, Pinterest pin, Linkedin share, and Google one up counts. So when researching backlinks to pursue, make sure to analyze the overall amount and quality of their comments, likes, and content. You also want to analyze the backlink’s overall social media strategy in general. Daily tweets and facebook posts, with an additional presence on Linkedin, Google Plus, or Pinterest if relevant to the niche. Valuable user engagement that adds substance to the post. Regularly promotes content. You want that high-authority source to share your guest post on social media! Diversifies social media pages with video, images, contests, listicles, behind-the-scenes action, and unique content. Has an email subscriber list and sends regular email newsletters. As you can see, it’s important to develop relationships with your backlink sources. A healthy social media presence helps you stay in touch and track your backlinks. With such large audiences to promote to, you don’t want to lose those connections, right? Stay connected with your backlinks by developing positive relationships. Follow them on social media to reshare relevant content you like. You can also join the conversation by adding valuable comments to posts as well. The more you engage with your quality backlinks, the more you grow your own authority online. You have the SEO goods. Now, you just need strong backlinks to take you to that next level. Consult with an expert today to start building that portfolio now. Are you the brains behind a startup that’s struggling to get backlinks? Don’t worry– Startups are hard. Creating a successful brand is hard. Getting people to share your hard work is (you guessed it) hard. For any website owner, business, or brand, mastering the digital art of Search Engine Optimization (SEO) is an important step is gaining success. Getting backlinks is just one of many aspects of SEO and digital marketing. But what exactly are backlinks? How does one get backlinks, and how do they help a business or website grow? Let’s go over the facts and then jump right into some tried and tested strategies for improving SEO and acquiring backlinks. Backlinks are incoming hyperlinks from one website to another website. Say you own a food and drink website. An affiliate, such as another food and drink website (or a totally different website), will reference content from your website in a blog post. If this affiliate is popular, there’s a good chance that many people will see this link, click on it, and be brought to your website. This simple act of linking to your website brings in an audience that could become a potential customer or fan. The more backlinks that point back to your site, the more traffic you will get. The concept is very simple. However, getting those backlinks is not always so simple. Luckily, we put together a list of tips, tricks, and strategies to help you get those backlinks and maximize the reach your website will have. Let’s get right into the strategies! Building a creative and effective strategy for maximizing traffic to your website is the first step to building a successful brand. In 2016, there are more mobile internet users than desktop users. Who thought we’d see the day? Nearly 75% of U.S. smartphone users alone access the internet via their mobile device over their desktop or laptop. Because of this, your website absolutely must be formatted for mobile use. Google’s mobile algorithm also punishes websites that are poorly formatted for user-friendly mobile use. This harms your traffic, and it harms your SEO. The biggest part of getting backlinks is to find affiliates. Try writing content for a bigger publication, partnering with similar (though not competing) websites, or pitch your content during industry interviews. Look into services that can show you who is linking to your brand’s competitors. This will give you a leg up in blasting past the competition. Building a relationship with an affiliate doesn’t just mean they will help you out with free linking. Offer to guest post or guest blog for an affiliate website. The symbiotic relationships will allow both you are your affiliate to benefit from mutual backlinks. 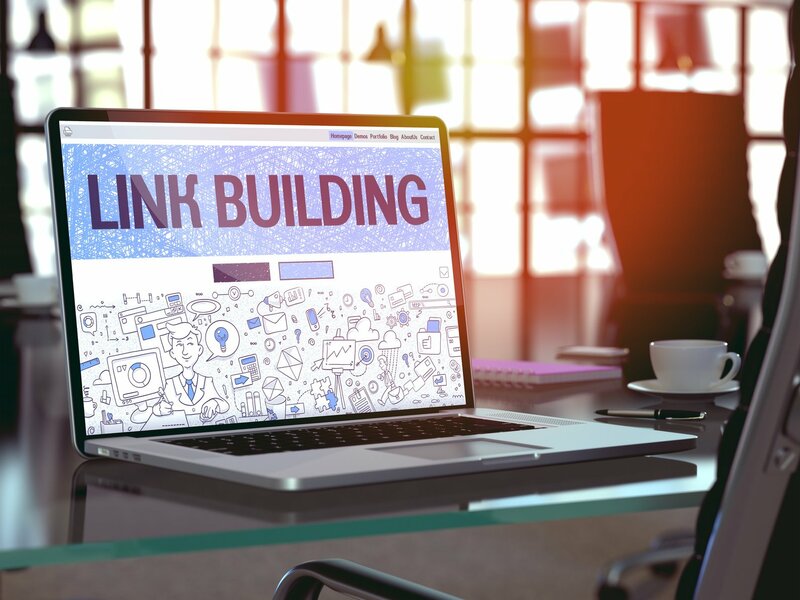 Link building packages are another option, and there are plenty of reputable businesses that are experienced in link building that can help you. 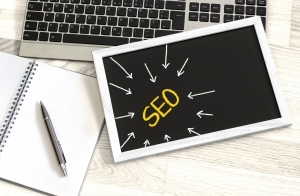 The most basic SEO strategy involves updating your website with informative and interesting content that is both fact-checked and spell-checked. This can be difficult to manage if you’re just one person trying to make your website or brand your job. Consider hiring a sort of “influencer” to write your website’s content, research subjects, pitch topics, and be an expert in the ever-changing stream of what is popular today. Paying someone to work for you may seem daunting, especially when part of the appeal of being self-employed is not needing to rely on anyone else. However, your website will gain much more exposure when the content is written by a professional writer or social media expert. There is absolutely no option to go without a social media presence if you wish to market your brand or website. Social media marketing can be a pain, we know! However, getting into the habit of updating Twitter, Facebook, and other relevant social media networks with interesting and attention-grabbing content can increase your chances of your content being shared. Shared content = potential backlinks. Simply updating your website and social media accounts with content isn’t enough to get that traffic. If your posts are poorly written, boring, or not visually attention-grabbing, you may be wasting your time. If your posts are poorly timed, don’t appeal to your target audience, or don’t have a call to action, you may also be wasting your time. Sit down and plan a strategy for content marketing that works for your brand or product. Sticking to this plan with make marketing less stressful and will also help you gain more success. SEO-friendly URLs are short URLs. Google has even said that the first three to five words in a URL are the most important. Long, annoying links are never appealing. Also, remember to keep your top keywords in your URLs. However, studies have concluded that interesting, practical, and informative content triumphs over clickbait. If you’re banking on going viral, your best bet is to avoid click bait and garbage content. Audiences are far more likely to share something insightful and original. The old days of simple “HTTP” are over. “HTTPS” stands for Hypertext Transfer Protocol over SSL (Secure Socket Layer). Essentially, the “S” means “security”. Switching your website to HTTPS will make your website more secure, and users will be more likely to visit a secure site. Google also gives a ranking boost to websites that are secure. That means more traffic and better SEO for your website. Schema.org is a popular markup that your can put into your website’s code. Schema.org essentially allows you to notify Google of which content goes where. Your logos, reviews, videos, location, and more can be properly arranged in Google searches using this markup. Schema.org is recommended by many SEO professionals and for good reason. Did any of these strategies help you with mastering backlinks? We’d love to hear about it in the comments.